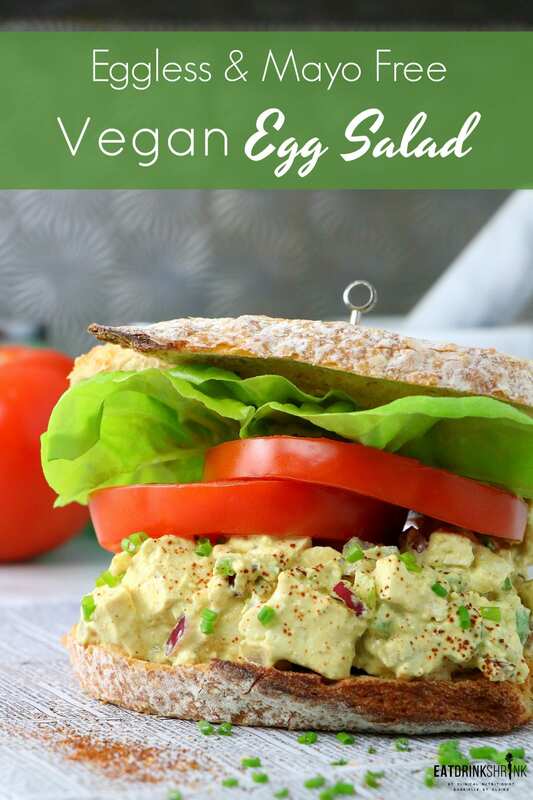 Vegan Eggless Mayo Free Egg Salad - Eat. Drink. Shrink. If there is one thing I crave, it’s a good vegan sandwich!! 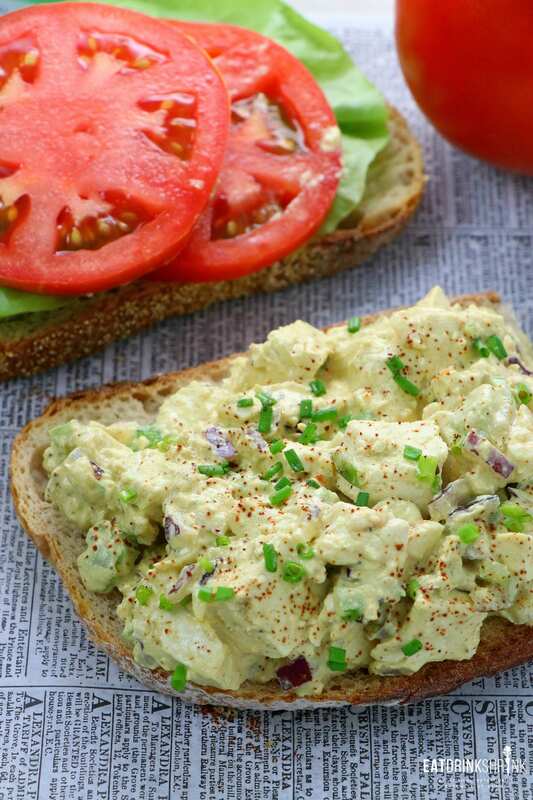 As a Georgia native, egg salad and deviled eggs were iconic. As a result I gravitate towards them still today. Although I don’t do really do a lot of eggs, I was curious as to whether you could create a vegan version. However for the longest time, I never explored this concept as I was scared that the final product just wouldn’t compare to this classic dish. Luckily, I was wrong! You can absolutely replicate this flavor, texture, sans animal products and even mayo! 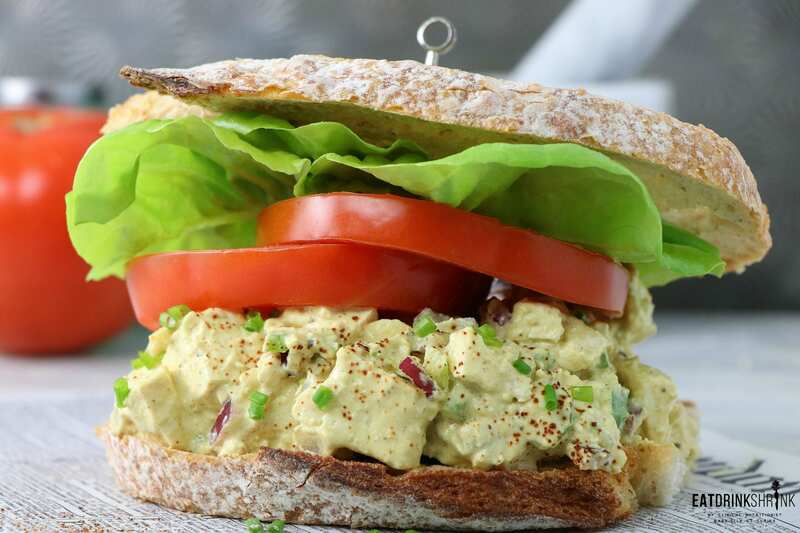 What’s fab about this egg salad, is everything! 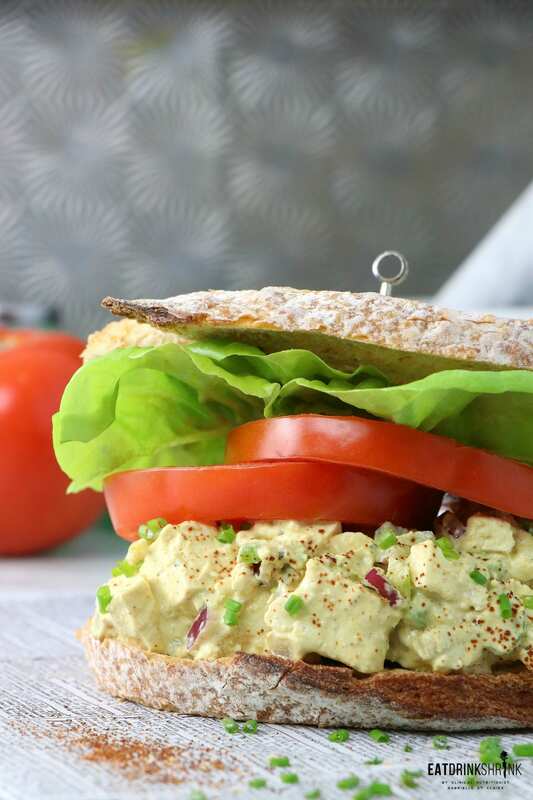 It’s tofu based, packs protein, flavor, texture, is mayo free, features cashews (more protein), quick, easy, can easily be made in bulk, perf for any season, perf for entertaining, and will sweep even the most die hard egg salad enthusiasts right off their feet! 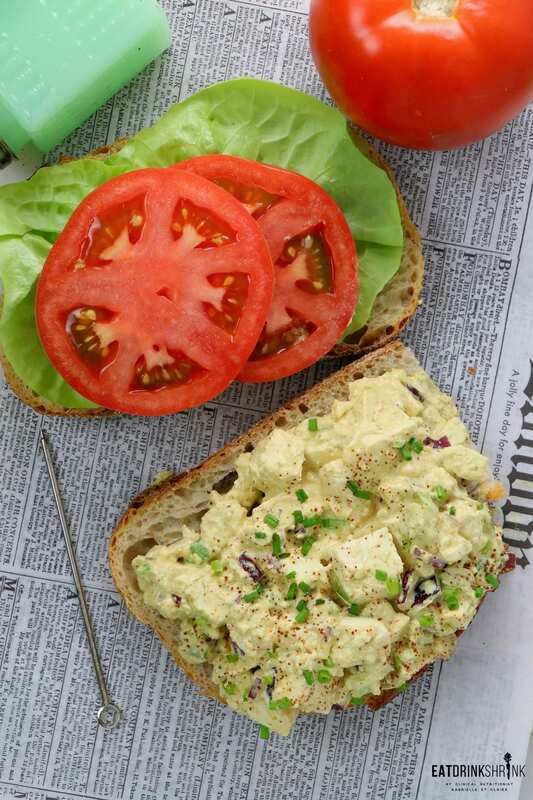 If you’re looking for quick and easy vegan sandwich concepts or long for egg salad, you’re going to love this mayo free vegan Eggless Egg Salad! Remove the Tofu from its package and press with paper towels to absorb residual water. Wrap in paper towels and let sit while you make the salad. Add the soaked cashes, dijon, almond milk, chives, salt/pepper to taste, and turmeric to a high-speed blender and process until thick and creamy. With a knife roughly chop the drained tofu into strips and triangle pieces. 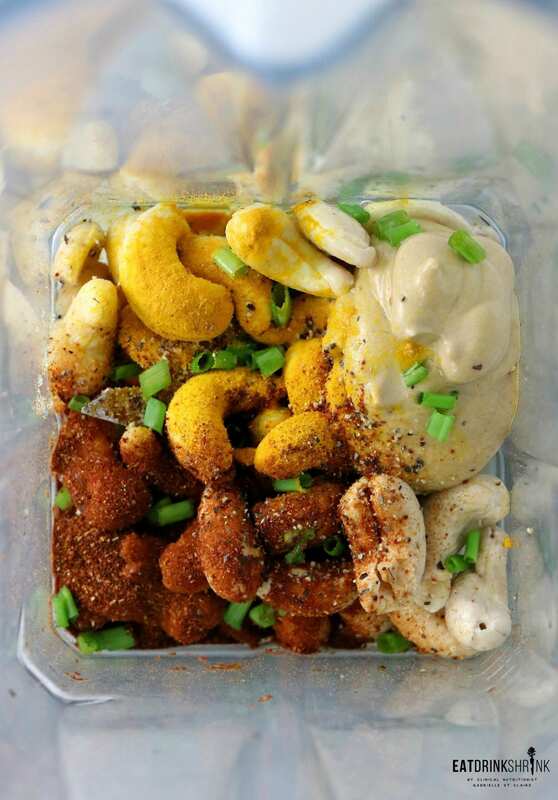 Transfer to a bowl with the cashew dressing. 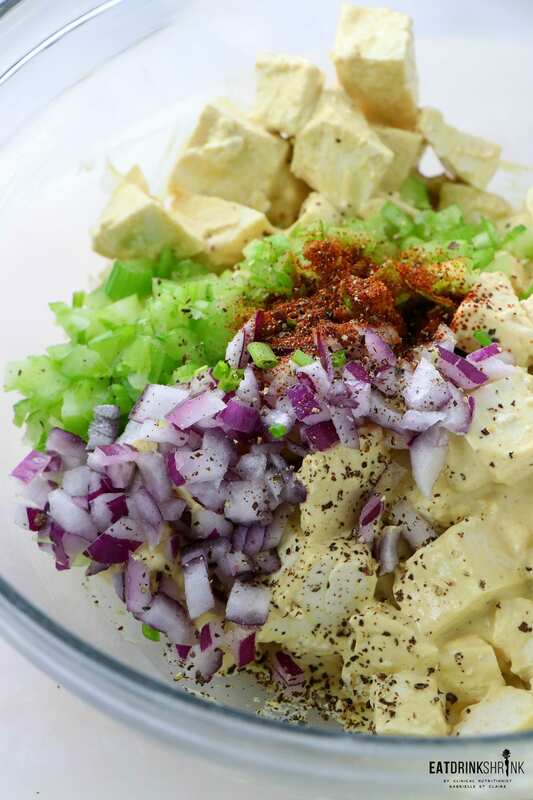 Fold in the red onion, celery, paprika, salt, pepper, and chives. Add more seasonings to taste or additional chives and set into the fridge until ready to serve. Refrigerate leftovers for up to 7 days.